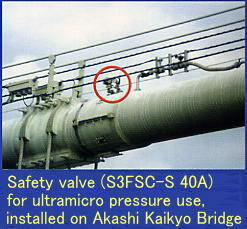 Since its foundation in 1952, Mihana Seisakusho has been working hard to manufacture safety valves. Approved as a High Pressure Gas Plant Factory and a Japanese Industrial Standard (JIS) Certification Marking Factory, Mihana Seisakusho is a world-class manufacturer in both quality and technology. We are making a name in many fields including space exploration, electric power, gas, chemistry, boilers, biotechnology, foods, and medicines, in addition to fields of extremely cold and ultrahigh temperatures, extremely low pressure, high pressure, and ultrahigh vacuum. Today, we also manufacture relief valves, breather valves, vacuum valves, and vacuum breakers. We are always prepared to immediately respond to every need of our customers. History of Company April 1952 - Ikuno Valve Manufacturing established in Ikuno-ku, Osaka-shi. April 1965 - Renamed as Mihana Seisakusho Co., Ltd. Capitalized at \1,500,000. April 1968 - Relocated and new factory constructed in Habikino-shi, Osaka, for extending business. April 1975 - Relocated and new factory constructed in Kashiwara Iron Steel and Metal Combinat in Kashiwara-shi, Osaka. Jan. 1983 - Approved as High Pressure Gas Plant Factory (Normal Temperature). March 1983 - Capital increased to \30,000,000. June 1985 - Head office, inspection room and laboratory completed. Nov. 1985 - Approved as High Pressure Gas Plant Factory (Ultra cryogenic). Feb. 1987 - MLP Co., Ltd. established (affiliated company). March 1988 - Approved as Japanese Industrial Standard Certification Marking Factory. 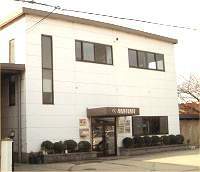 July 1989 - Joint company Korea Mihana Co., Ltd. established in Korea. Sept. 1989 - Korea Mihana Trading Co., Ltd. established in Seoul, Korea. Jan. 1997 - Approved as High Pressure Gas Plant Factory (valve size enlarged). June 2000 - ISO 9000 Certification.